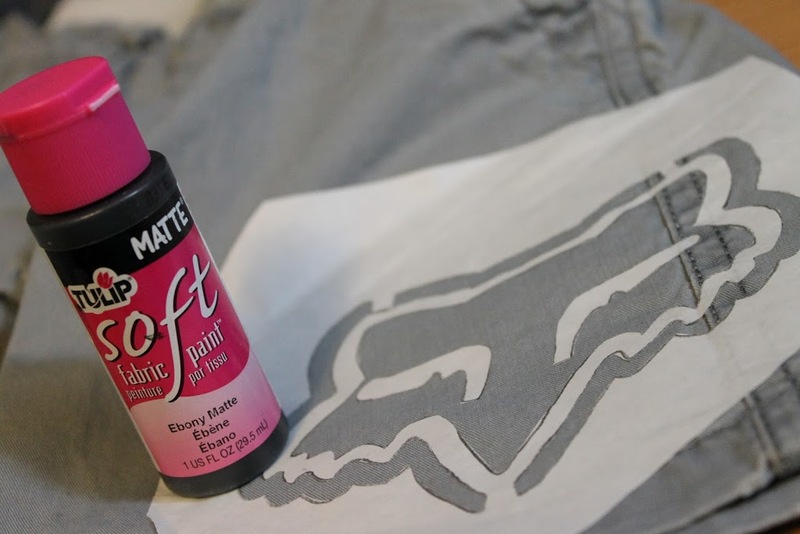 One thing that I haven’t seen a lot of is freezer paper stenciled shorts. I’ve used this technique on t-shirts in the past so why not shorts? 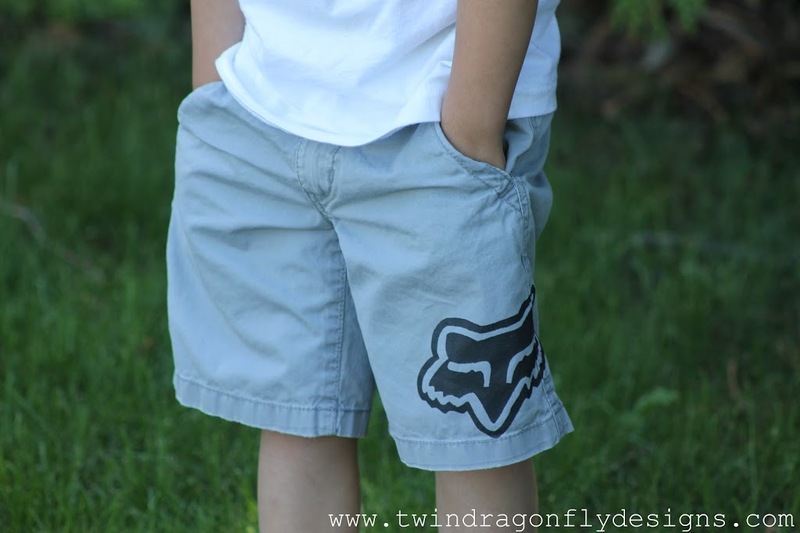 What a great way to upcycle a plain old pair of shorts! 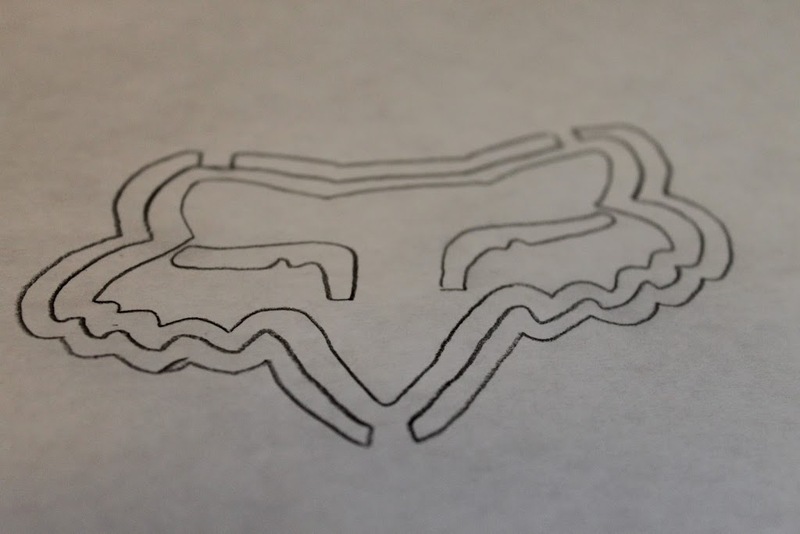 Darcy is a mountain biker so I chose this Fox symbol as a tribute to him. 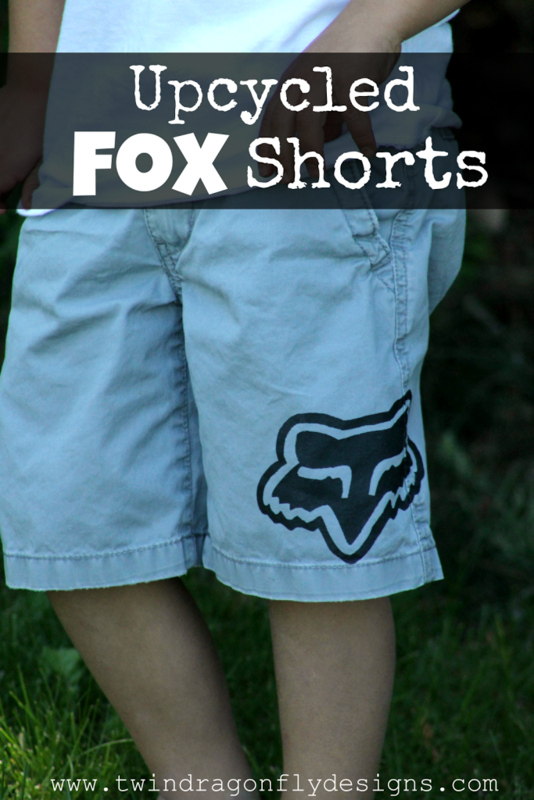 A pair of Fox shorts from the bike shop would be $30-$40. 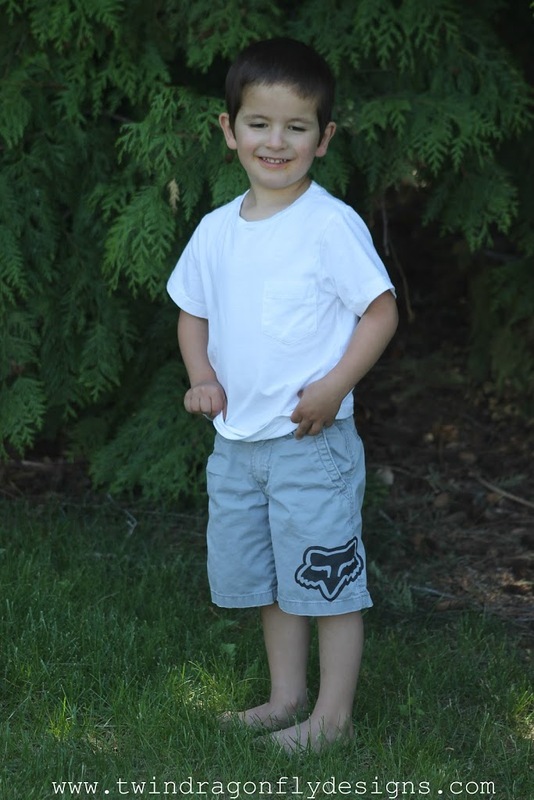 These Children’s Place shorts were probably $5.99 and I had the rest of the supplies on hand. 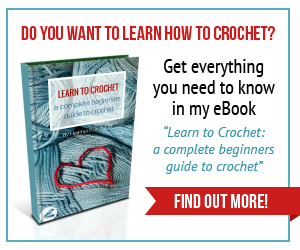 Whoop whoop for fun, inexpensive projects!! 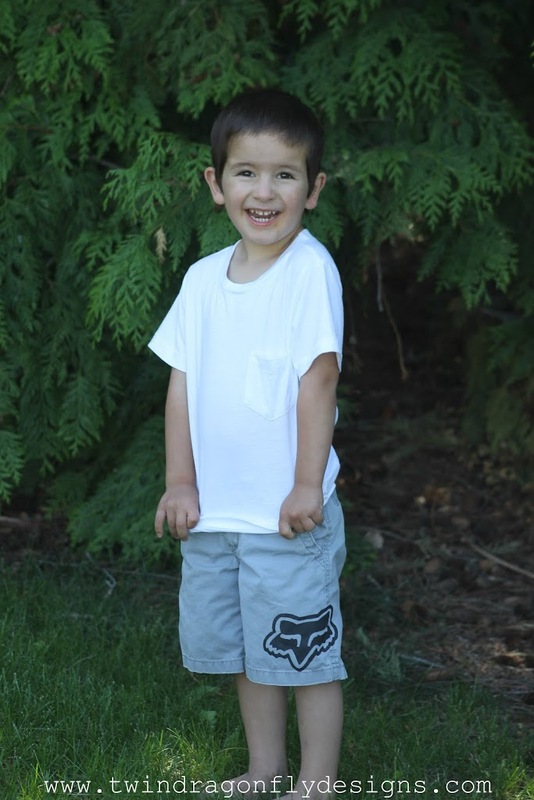 Download and print an image that you would like to put on your shorts. 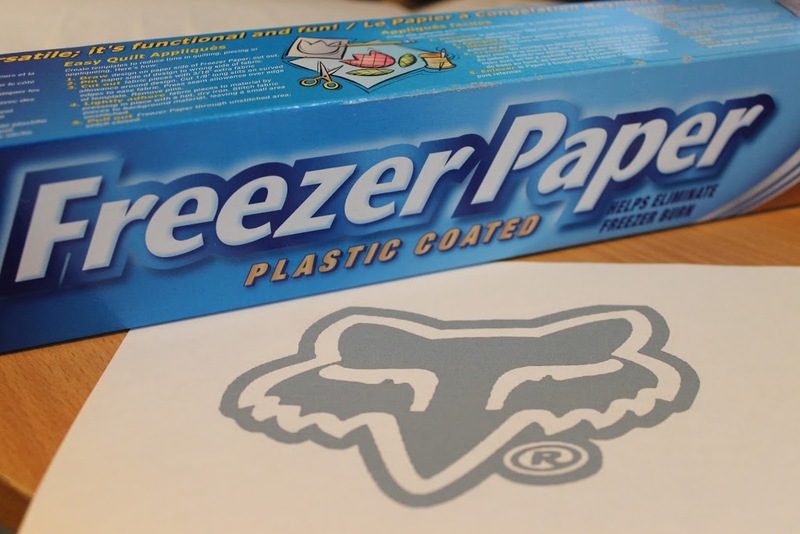 Trace the image onto freezer paper. I found freezer paper at our local IGA store. 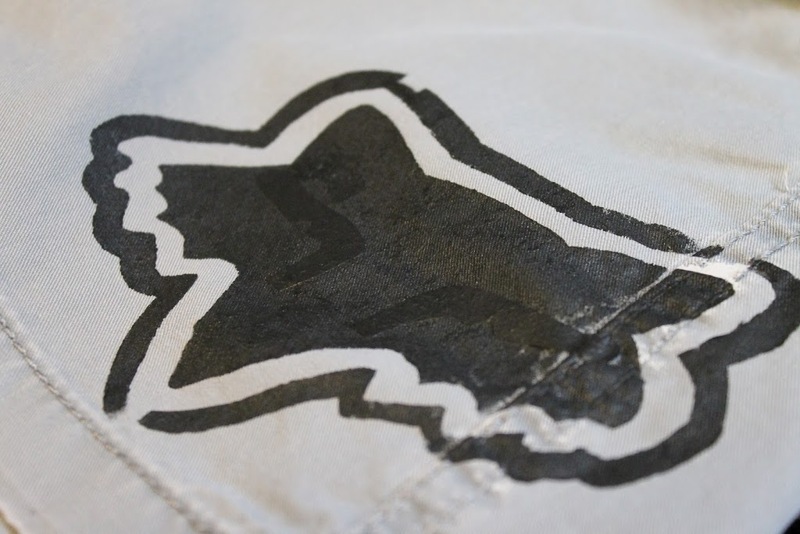 Leave sections of the image attached so that it is easier to transfer your stencil to your shorts. 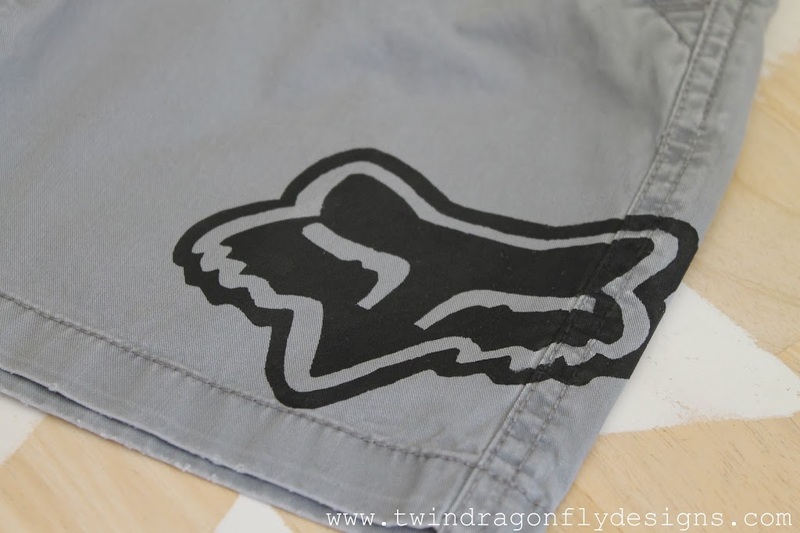 Iron the freezer paper onto the shorts, shiny side down. 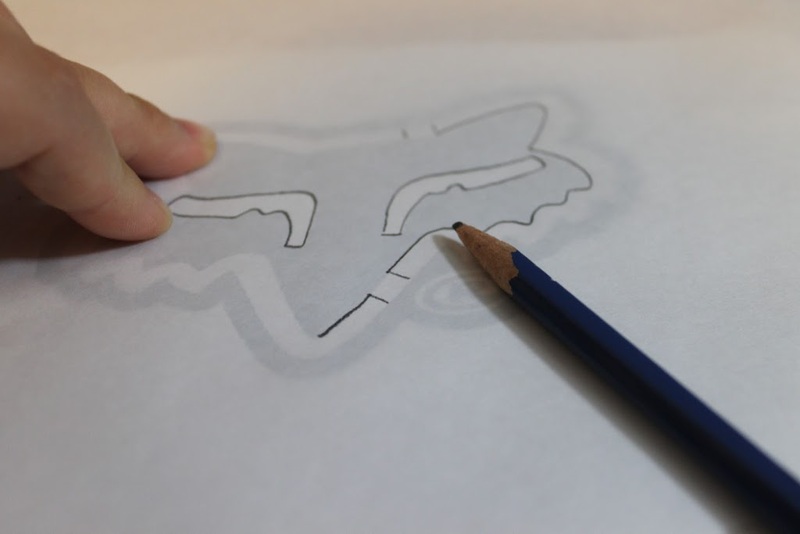 Be sure to apply a bit of extra pressure to the edges and corners of the stencil. 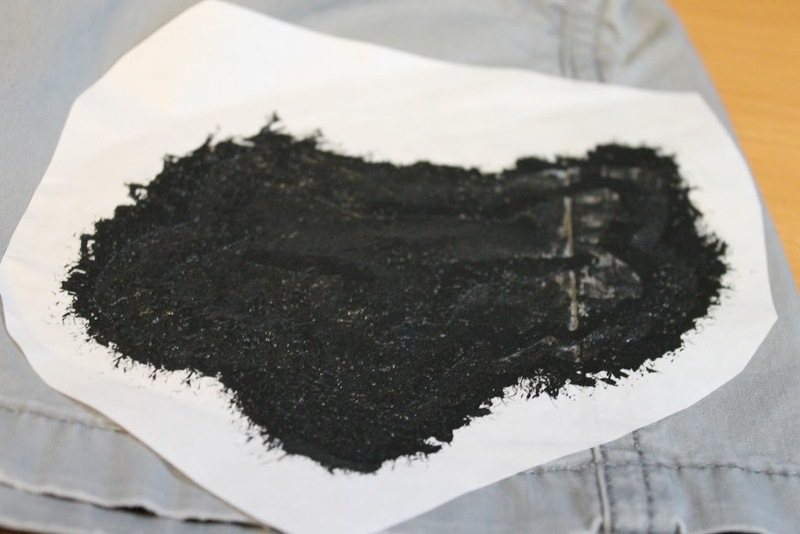 Paint inside the stencil using fabric paint. 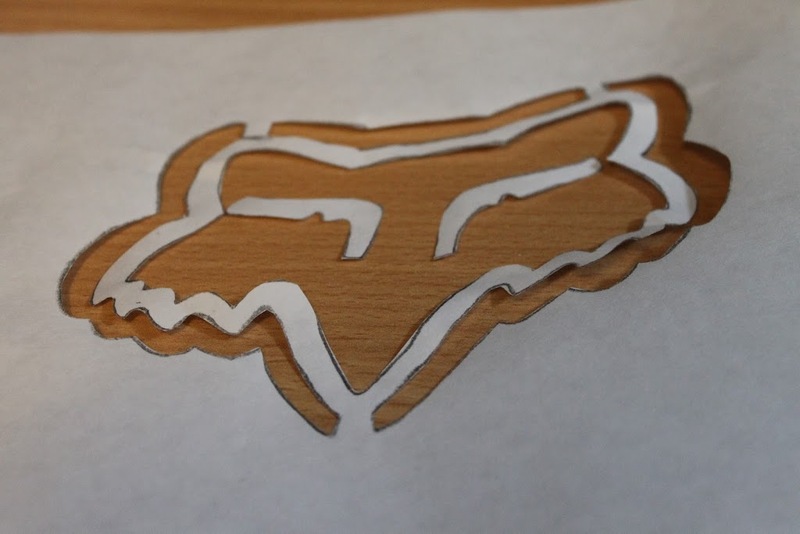 Carefully peel the stencil off and fill in any gaps in the image with more paint. 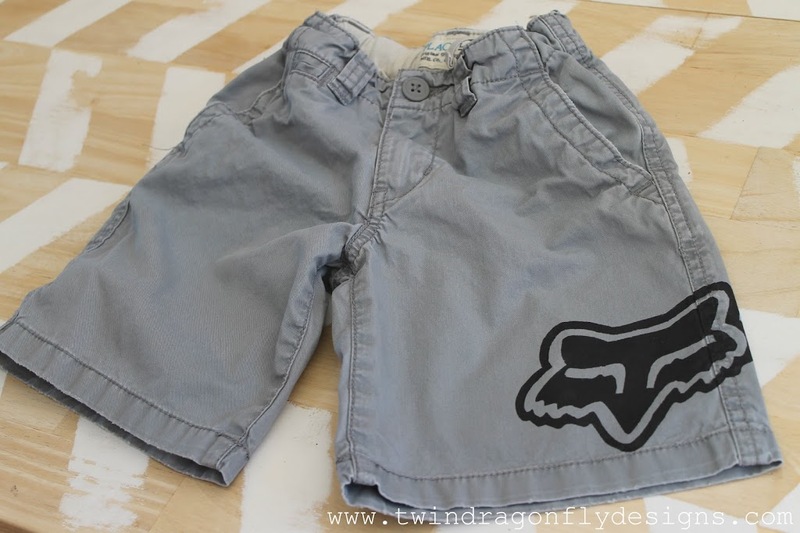 Now you have a fun pair of upcycled shorts! Perfect for our next trip to the bike park! 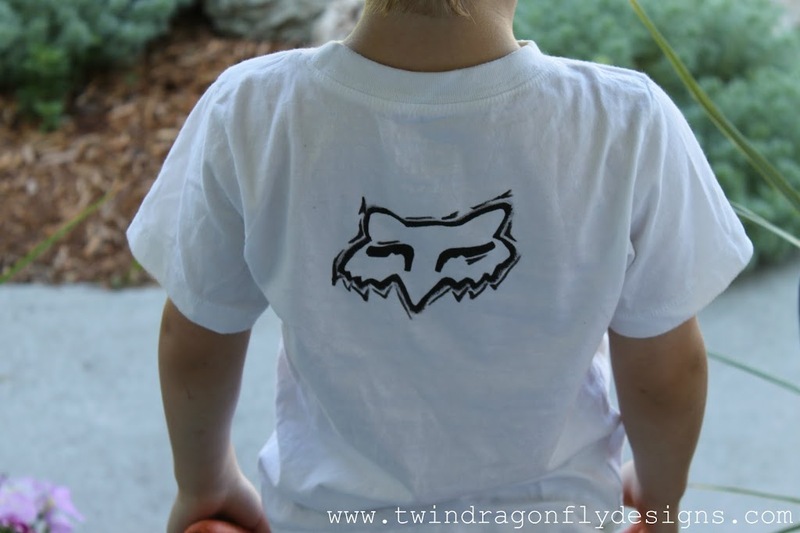 I used the reverse stencil, the negative space that I had cut out of the freezer paper, to create this quick Fox symbol of the back of this t-shirt too! 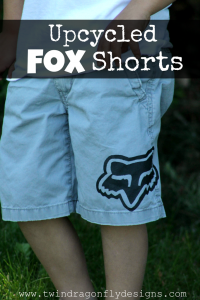 Thanks for being a part of Shorts Week! 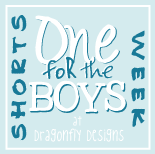 Be sure to swing by tomorrow for an Epic Roundup of awesome Boy Short ideas! !